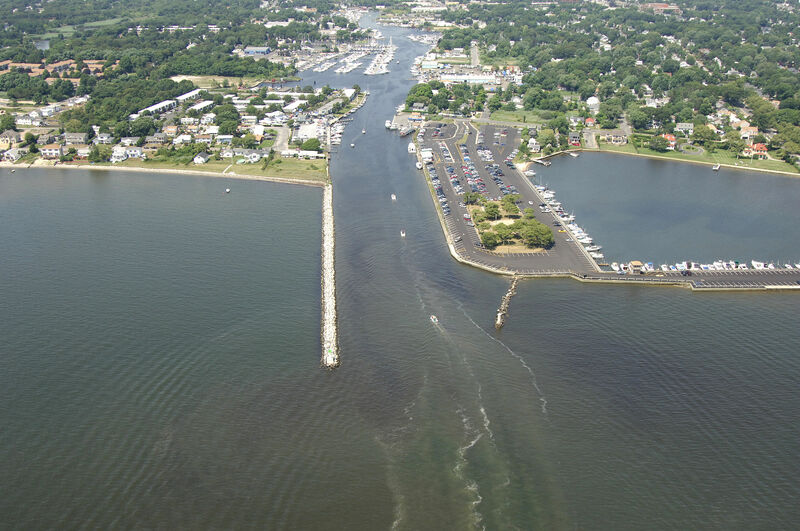 The town of Patchogue and the Patchogue River are located off Patchogue Bay on Long Islands South Shore, about 17 miles east of the Fire Island Inlet and 14 miles west of the Moriches Bay Inlet. 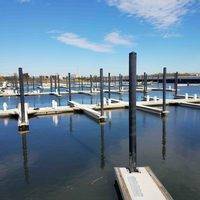 Inside the breakwaters to the Patchogue River you will find a mind-numbing 12 marinas with everything from slips to full-service repairs and haul-outs. 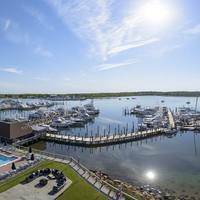 Of the 12 marinas in the Patchogue River, only four offer transient services, but you can always call ahead to inquire if the other facilities are full. Due to the narrow nature of the river, there is no anchoring here. 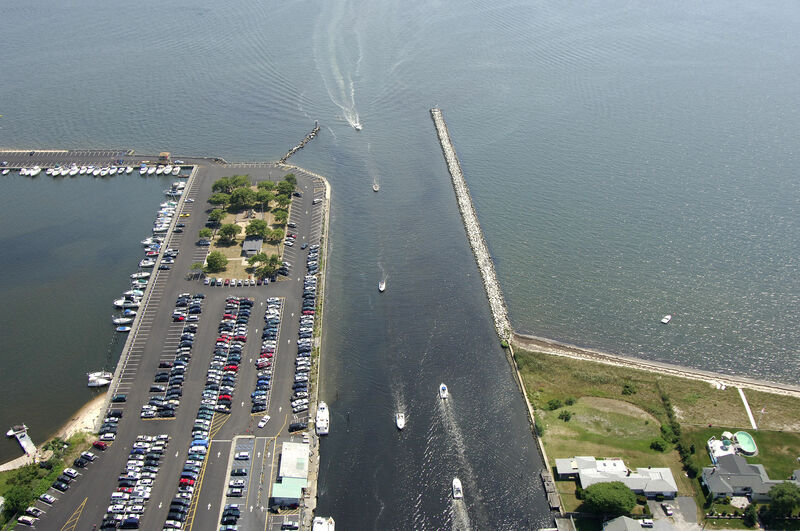 From Patchogue Bay, you will first pick up flashing green buoy 1, which is located about a mile and a half from the breakwaters of the river opening. 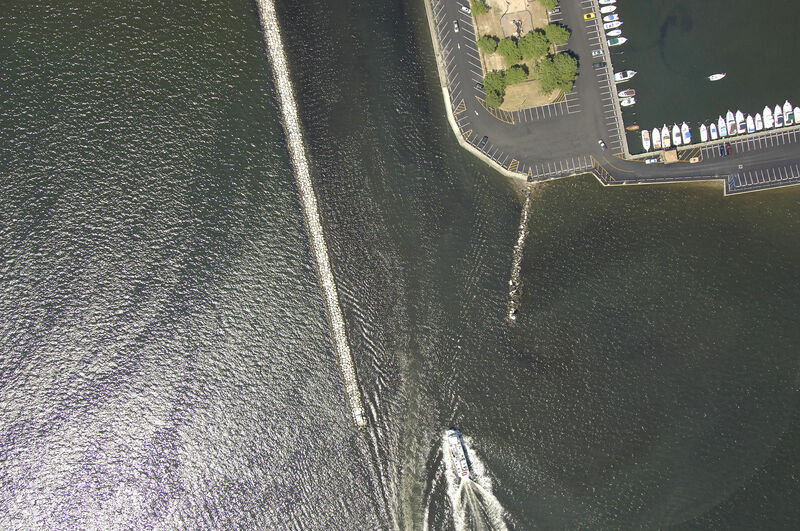 From flashing green buoy 1, set a course for, and then follow in red nun 2, green can 3, red nun 4 and flashing green 5 at the west breakwater (visible in the image above). The flashing red light on the east breakwater is unnumbered. There are no aids to navigation once you get inside, but if you stay to the center of the river, you will find six-foot depths for most of the rivers length. 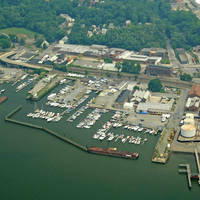 The larger marinas are located on the east side of the river, and smaller marinas are scattered along its length. No reviews yet! Be the first to write a review of Patchogue River Inlet.